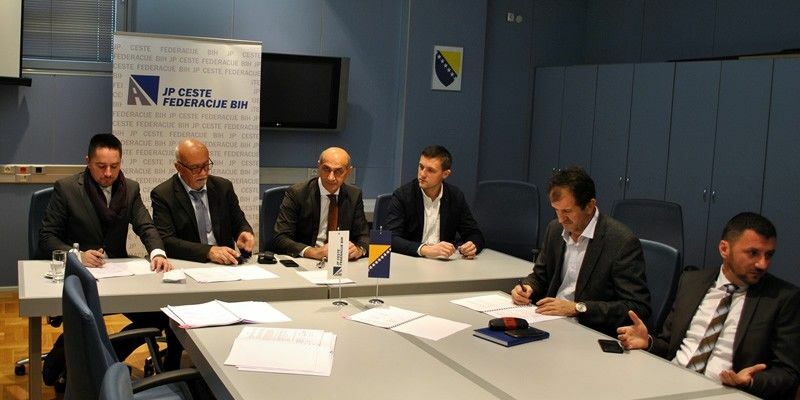 Contract for Mostar South Bypass – Completion of road section Međine – Miljkovići, L= 6,7 km was signed today in the business premises of the PC Roads of the Federation of BiH under the Federation Roads Modernization Programme. The contract was signed by Ljubo Pravdić, director of the PC Roads of the FBiH and Rajko Ćutuk and Dženan Pekušić, representatives of JV Putovi d.o.o. Grude and HP Investing d.o.o. Mostar. Total value of works is BAM 5.336.934, 79 KM with VAT. Works will be funded by EBRD. The deadline for works completion is 180 days. Furthermore, a contract for supervision of these works was also signed today which was awarded to the JV IGH d.o.o. Mostar and IGH d.d. Zagreb. Total value of contract is BAM 144.612,00. Works will be carried out in stages. 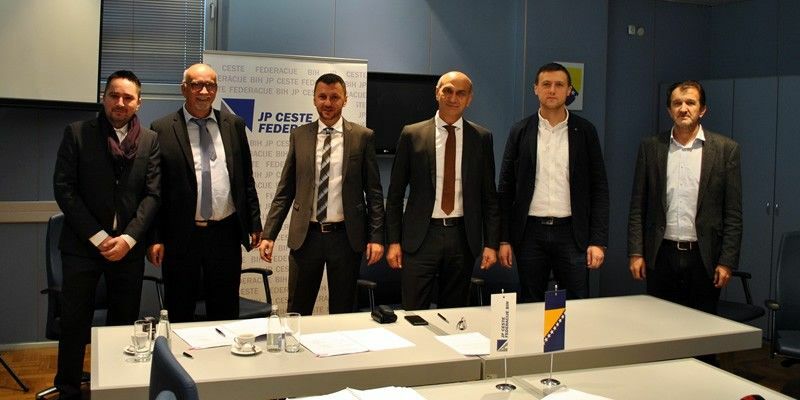 The first stage will include the completion of the Mostar South Bypass in the length of 6,5 km as well as the completion of the roundabout in Varda at the crossing with the road M17.4 Mostar - Čitluk. Works at this stage will cover the construction of pavement structure (i.e. slopes, cuttings, embankments, road base, channels, ditches, asphalt works etc. ), installation of traffic-technical equipment and signalling and construction of a roundabout in Varda.